Panlei, Wei dong, Wu xiujie. 2014. Latitudinal and climatic distributions of 3D craniofacial features among Holocene populations. Science China (Earth Sciences), In press, doi: 10.1007/s11430-014-4850-3. XiuJie Wu, Erik Trinkaus. 2013. The Xujiayao 14 Mandibular Ramus and Pleistocene Homo Mandibular Variation. Comptes Rendus Palevol, 742. http://dx.doi.org/10.1016/j.crpv.2013.10.002. XiuJie Wu, Song Xing, Erik Trinkaus. 2013. An Enlarged Parietal Foramen in the Late Archaic XJY 11 Neurocranium from Northern China. PLoS ONE, 8(3):1–10(e59587). 吴秀杰，金昌柱,蔡演军,张颖琦, 王元, 秦大公, 潘文石. 2013. 广西崇左智人洞早期现代人龋病及牙槽骨异常. 人类学学报，32（2）：133-143. 李意愿，裴树文，同号文，杨雄心，蔡演军，刘武，吴秀杰. 2013. 湖南道县后背山洞福岩洞2011年发掘简报告. 人类学学报, 32(2)：133-143. XiuJie Wu, Erik Trinkaus. 2012. Neurocranial Trauma in the Late Archaic Human Remains from Xujiayao, Northern China. International Journal of Osteoarchaeology (DOI: 10.1002/oa.2283). XiuJie Wu, Scott D. Maddux, Lei Pan, Erik Trinkaus. 2012.Nasal floor variation among eastern Eurasian Pleistocene Homo. Anthropological Science, 120(3): 217–226. XiuJie Wu, Wu Liu, Bae Christopher. 2012. Craniofacial Variation between Southern and Northern Neolithic and Modern Chinese Populations. International Journal of Osteoarchaeology, 22: 98–109. Sarah A. Lacy, XiuJie Wu, Chang-Zu Jin, Da-Gong Qin, Yan-Jun Cai, Erik Trinkaus. 2012. Dentoalveolar paleopathology of the early modern humans from Zhirendong, South China. International Journal of Paleopathology. 2(1): 10-18. 卫奇，吴秀杰. 2012. 许家窑- 侯家窑遗址地层穷究. 人类学学报，31（2）：151-163. Xiujie Wu, Lynne Schepartz, Wu Liu, Erik Trinkaus. 2011. Antemortem Trauma and Survival in the Late Middle Pleistocene Human Cranium from Maba, South China. Proceedings of the National Academy of Sciences USA,108 (49): 19558–19562. Xiujie Wu, Ralph L Holloway, Lynne A Schepartz, Song Xing. 2011. The brain endocast of Nanjing 1, Homo erectus. American Journal of Physical Anthropology, 145(3): 452–460. Wu Xiujie, Pan Lei. 2011. Identification of Zhoukoudian Homo erectus brain asymmetry using 3D laser scanning. Chinese Science Bulletin, 56(21): 2215-2220. 吴秀杰，潘雷. 2011. 利用3D 激光扫描技术分析周口店直立人脑的不对称性.科学通报，56(16): 1282–1287. 刘武, 吴秀杰, 邢松, Victoria Gibbon, Ronald Clarke. 2011. 现代中国人群形成与分化的形态证据— 中国与非洲和欧洲人群头骨非测量特征分析.人类学学报，30(3): 250-264. 卫奇，吴秀杰. 2011. 许家窑遗址地层时代讨论. 地层学杂志，35(2): 193-199. Liu Wu, Wu Xiujie. 2011. The hominid fossils from China contemporaneous with the Neanderthals and some related studies. In S. Condemi and G.-C. Weniger (eds. ), Continuity and Discontinuity in the Peopling of Europe: One Hundred Fifty Years of Neanderthal Study, Vertebrate Paleobiology and Paleoanthropology, (DOI 10.1007/978-94-007-0492-3_7), Springer Science+Business Media B.V. 2011, 77-87. 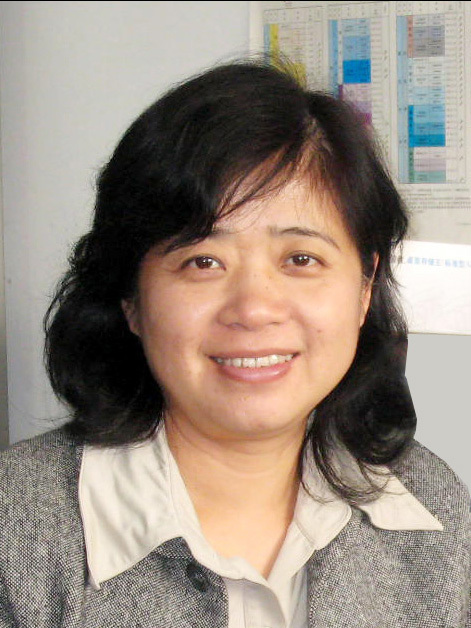 Wu Xiujie, Schepartz L. 2010. Morphological and Morphometric Analysis of Variation in the Zhoukoudian Homo erectus Brain Endocasts. Quaternary International, 211: 4–13. Wu Xiujie, Schepartz L, Liu wu. 2010. Endocranial Cast of Zhoukoudian Skull V: A New Homo erectus Brain Endocast from China. Proceedings of the Roral Society B, 277: 337–344. Wu Xiujie. 2010. Brain Morphology of the Zhoukoudian H. erectus Half a Million Years Ago. Bulletin of the Chinese Academy of Sciences, 120-122. Liu Wu, Amélie Vialet, Wu Xiujie, Steve Wang, Li Haijun. 2010. The pelvis of a Late Pleistocene hominin from Liujiang, South China: Its body shape, body size, and encephalization. L'Anthropologie, 114(5):543-563. Liu Wu, Wu Xianzhu, Pei Shuwen, Wu Xiujie, Christopher J. Norton. 2010. Huanglong Cave: A Late Pleistocene human fossil site in Hubei Province, China. Quaternary International, 211:29-41. Wu Liu, Chang-Zhu Jin, Ying-Qi Zhang, Xianzhu Cai, Song Xing, Xiujie Wu, Hai Cheng, R. Lawrence Edwards, Wen-Shi Pan, Da-Gong Qin, Zhi-Sheng An, Erik Trinkaus, Xin-Zhi Wu. 2010. Human remains from Zhirendong, South China, and modern human emergence in East Asia. Proceedings of the National Academy of Sciences USA, 107(45): 19201-19206. Li Haijun, Wu Xiujie, Li Shenghu, Huang Weiwen, Liu Wu. 2010. Late Pleistocene human skull from Jingchuan, Gansu Province. Chinese Science Bulletin, 55(11): 1047-1052. Wu Xiujie, Schepartz L. 2009. The Application of Computed Tomography to Paleoanthropological Research. Progress in Natural Science, 19: 913–921. 吴秀杰, Lynne Schepartz. 2009. CT技术在古人类学上的应用.自然科学进展，19 (2): 27–35. Wu Xianzhu, Wang Yunfu, Pei Shuwen, Wu Xiujie. 2009. Virtual three dimensions reconstruction and isoline analysis of human marks on the surface of animal fossils. Chinese Science Bulletin, 1564-1569. 武仙竹 王运辅 裴树文 吴秀杰 郑利平. 2009. 动物骨骼表面人工痕迹的三维数字模型及正投影等值线分析. 科学通报，54(12): 1736-1741. Liu Wu, Wu Xianzhu, Li Yiyin, Deng Chenglong, Wu Xiujie, Pei Shuwen. 2009. Evidence of fire use of late Pleistocene humans from Hunaglong Cave, Hubei Province, China. Chinese Science Bulletin, 54 (2): 256-264. 武仙竹，裴树文，吴秀杰, 屈胜明, 陈明惠, 胡勤, 刘武. 2009. 湖北郧西白龙洞古人类遗址初步研究. 人类学学报，28(1): 1-15. 刘武, 武仙竹, 吴秀杰. 2009. 湖北郧西黄龙洞更新世晚期人类牙齿. 人类学学 报, 28 (2): 113-129. 李海军，吴秀杰，李盛华，黄慰文，刘武. 2009. 甘肃泾川更新世晚期人类头骨的研究. 科学通报, 54 (21): 3357-3363. 吴秀杰，傅仁义，黄慰文. 2009. 人类头骨研究. 见：辽宁省考古研究所编著 “小孤山，辽宁海城史前洞穴遗址综合研究”科学出版社，北京：162-172. Wu Xiujie, Liu Wu, Dong Wei, Qu Jiumin, Wang Yanfang. 2008. The brain morphology of Homo Liujiang cranium fossil by three-dimensional computed tomography. Chinese Science Bulletin, 53(16): 2513–2519. 吴秀杰, 傅仁义, 黄慰文. 2008. 辽宁海城小孤山新石器时代人类头骨研究. 第四纪研究，28(6): 1081-1089. 刘武，武仙竹，吴秀杰，裴树文. 2008. 古人类牙齿表面痕迹与古人类生存适应及行为特征 - 湖北郧西黄龙洞更新世晚期人类牙齿使用痕迹. 第四纪研究，28(6): 1014－1022. 裴树文，武仙竹，吴秀杰. 2008. 湖北郧西黄龙洞古人类石器技术与生存行为探讨. 第四纪研究，28(6): 995-100. 武仙竹, 李禹阶, 裴树文, 吴秀杰. 2008. 湖北郧西白龙洞遗址骨化石表面痕迹现象研究. 第四纪研究，28(6): 1023－1033. 武仙竹，吴秀杰，王运辅，屈胜明. 2008. 郧西人遗址动物群与古环境. 见: 董为主编. 第十一届中国古脊椎动物学学术会议论文集. 北京: 海洋出版社，103-112. 张银运，刘武，吴秀杰. 2008. 金牛山人类化石的发现和人类演化的阶段. 北京大学考古文博学院编，北京大学考古学丛书 – 考古学研究 – 庆祝吕遵鄂先生八十寿辰暨从事教学与研究五十五周年论文集. 北京：科学出版社，11-14. Wu Xiujie, Liu Wu, Christopher Norton. 2007. Endocast — the direct evidence and recent advances in the study of human brain evolution. Progress in Natural Science, 17(9)：993–1002. 吴秀杰，刘武，Christopher Norton. 2007. 颅内模——人类脑演化研究的直接证据及研究状况. 自然科学进展, 17(6):707–715. Wu Xiujie, Liu Wu, Zhang Quanchao, Zhu Hong, Christopher Norton. 2007. The microevolution of the craniofacial morphological features for the Holocene human populations in north China. Chinese Science Bulletin, 52(12): 1661-1668. 吴秀杰，刘武，张全超, 朱泓，Christopher Norton. 2007. 中国北方全新世人群头面部形态特征的微观演化. 科学通报, 52(2):192–198. 吴秀杰，张全超，李海军. 2007. 聚类分析和多变量统计分析方法在人类学研究中价值的判定. 人类学学报，26(4): 361-371. 刘武，吴秀杰，李海军. 2007. 柳江人身体大小和形状 —体重、身体比例及相对脑量的分析. 人类学学报，26(4)：295-304. 武仙竹，吴秀杰，陈明惠等. 2007. 湖北郧西黄龙洞古人类遗址2006年发掘报告. 人类学学报， 26(3):193-205. 武仙竹，裴树文，吴秀杰等. 2007. 郧西人遗址洞穴成因与埋藏环境初步观察. 第四纪研究, 27(3):444-452. Wu Xiujie, Schepartz L, Falk D, Liu Wu. 2006. Endocast of Hexian Homo erectus from south China. American Journal of Physical Anthropology, 26: (3):445-454. 吴秀杰，刘武，刘永胜. 2006. 中国化石人类脑量演化特点及其意义. 见: 董为主编. 第十届中国古脊椎动物学学术会议论文集. 北京: 海洋出版社, 109-120. 吴秀杰，刘武，王兆贤. 2006. 水洞沟发现的人类顶骨化石及中国更新世晚期人类脑演化. 见：钟侃 高星(主编). 旧石器时代论集. 北京：文物出版社，87-95. Liu Wu, Amélie Vialet, Wu Xiujie, Li haijun. 2006. Comparaison de l’expression de certains caractères crâniens sur les hominidés chinois du Pléistocène récent et de l’Holocène (grotte supérieure de Zhoukoudian, sites de Longxian et de Yanqing). L'Anthropologie, 110(2): 258-276. 刘武，吴秀杰，汪良. 2006. 柳江人头骨形态特征及柳江人演化的一些问题.人类学学报. 25: 177－194. 刘武，何嘉宁，吴秀杰, 吕景艳. 2006. 山顶洞人与现代华北人头骨非测量性特征比较及中国更新世晚期人类演化的一些问题. 人类学学报，21: 26-41. 刘武, 张全超, 吴秀杰, 朱泓. 2005. 新疆与内蒙古地区青铜-铁器时代居民牙齿磨耗及健康状况的分析. 人类学学报，24:32-53. Wu Xiujie, Liu Wu, Wang Zhaoxian. 2004. The human parietal fossil found in Shuidonggou site, Ningxia, China. Anthropological Science, 112: 83-89. 吴秀杰，刘武 Schepartz L. 2004. 周口店直立人颅内模的复原与研究. 人类学学报，23(增刊): 22-34. 刘武, 吴秀杰, 张银运. 2004.中更新世非洲 Bodo人类头骨化石与周口店直立人的比较中国与非洲人类头骨特征对比之三. 人类学学报，23:119－129. 吴秀杰. 2003. 化石人类脑演化研究概况. 人类学学报, 22: 89-104. 刘武, Emma Mbua, 吴秀杰, 张银运. 2003.中国与非洲近代－现代人类某些颅骨特征的对比及其意义—中国与非洲人类头骨特征对比之二. 人类学学报，22:89－104. 刘武, Emma Mbua, 吴秀杰. 2002.非洲和中国直立人某些颅骨特征的比较 — 中国与非洲人类头骨特征对比之一. 人类学学报，21:255－267. 吴秀杰. 2006. 人类还在进化吗? Newton-科学世界. (12): 58-62. 吴秀杰. 2006. 探索人类脑进化的历程. 科学, (9): 18-22. 吴秀杰. 2005. 化石人类脑进化研究与进展. 化石，(1): 8-13.